If a picture is worth a 1000 words, how about a video? In law enforcement, when it comes to sorting through plenty of ‘He said…she said,’ it can be very valuable. 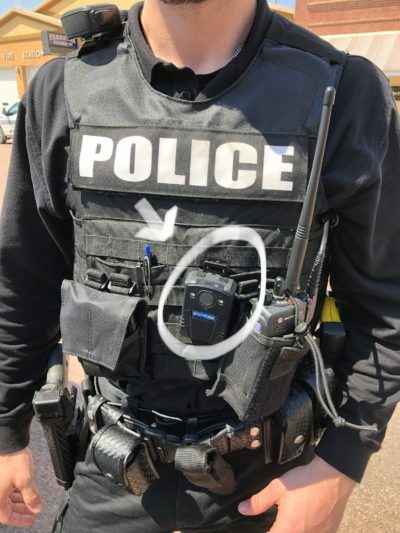 For the past several years Parkston Police Department have been using officer mounted body cams to record audio and video interactions. These records can be used to verify information provided or actions that took place during various officer engagements. The protected records may be accessed by an officer writing their report later that day or requested as part of an investigation. All this encourages and enforces the highest level of accountability and integrity in a wide variety of events; in addition to protecting the citizen and law enforcement. Santel worked with Parkston Deputy Finance Officer, Chris Newton, in providing a community donation towards the upgrade of an officer body cam and related technology. Officer, Will Lutjen, demonstrates how a body cam may be positioned in a routine traffic stop.